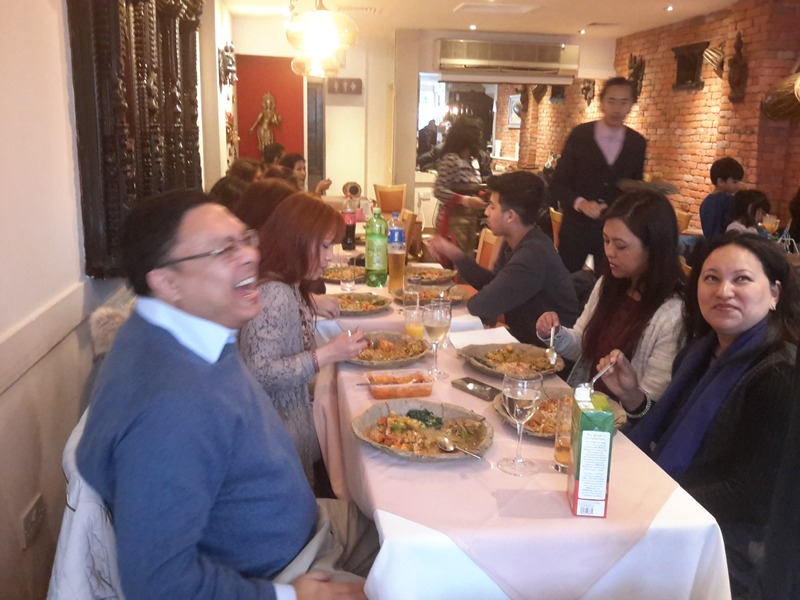 Pasa Puchah Guthi UK, London held its second Paha Chahre event at Nepal Authentic Dining, Hanwell, London. Vice President Mrs. Rukmani Manandhar opened the programme with warm welcome and wishes for Paha Chahre on behalf of Guthi executive committee. 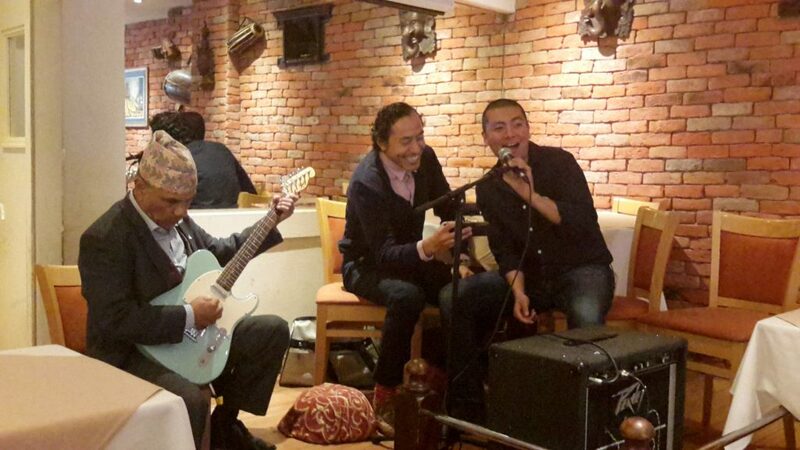 The event, with more than 25 attendees, started with some traditional music played by Mr Madan Thapa and Mr Basanta Rayamajhi. After the opening music, Guthi member and singer Mrs Anju Shrestha, sang some Nepalbhasha as well as some Khasbhasha Nepali songs. 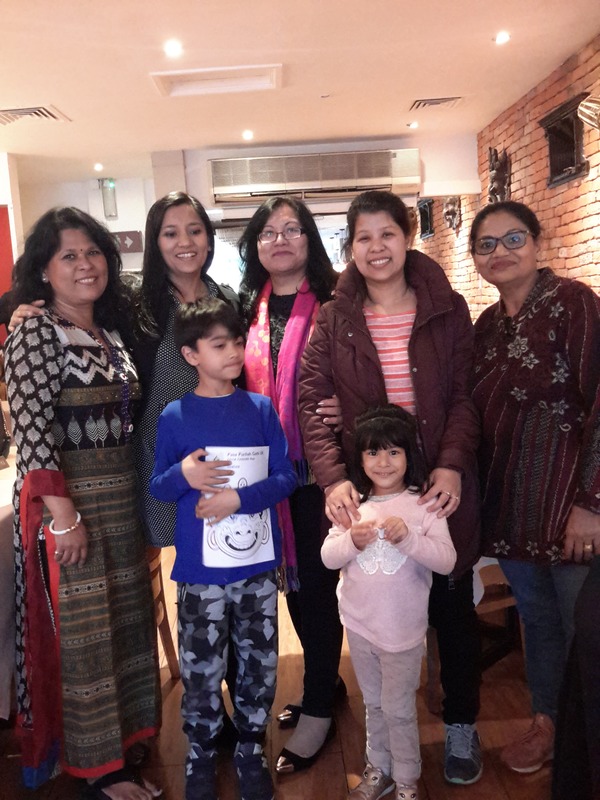 After the entertainment segment, Cultural Secretary of PPGUK London, Ms Pranisha Shakya presented a talk titled ‘Introduction of Paha Chahre and Paha Chahre Jatra’ . Ms Shakya informed the audience why the festival has its name Paha Chahre, who are the deities worshipped during the festival and its legends connected to it. Ms Shakya also informed the audience regarding all the festivities surrounding the festival, as well as why this festival is considered to be an important celebration amongst the Newah community of Nepal Valley. 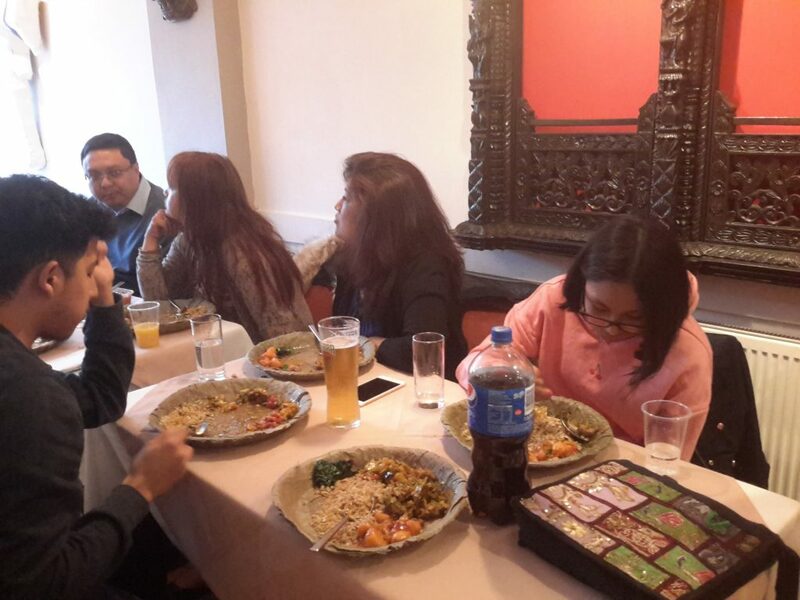 Paha Chahre Bhwoye which consisted of Bajee, Vegetables, Achar, Tukancha, and Chhuyelaa was then served to all the guests in an authentic Newah plate – ‘Laptay’. 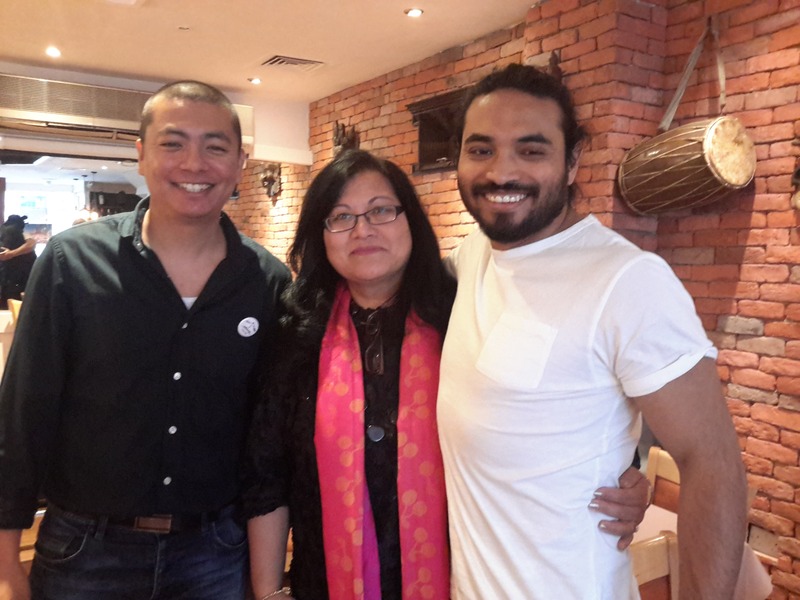 Bhwoye was prepared through support of friends of PPPGUK London- Mrs Aruna Tandukar, Monkey Temple Restaurant, Nepal Authentic Dining, Monty’s Fulham. 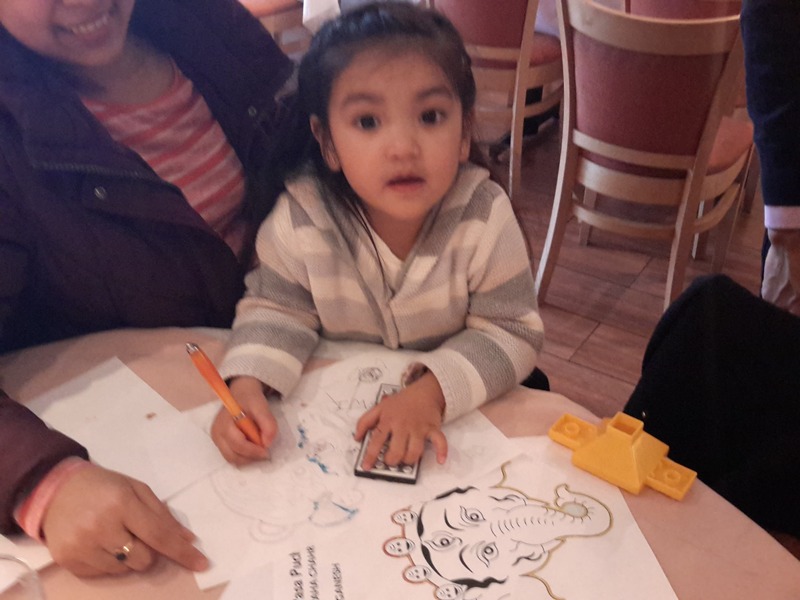 A separate kids menu was also contributed by Mr. Ojesh Singh, Current President of Pasa Puchah Guthi Board of Trustees. 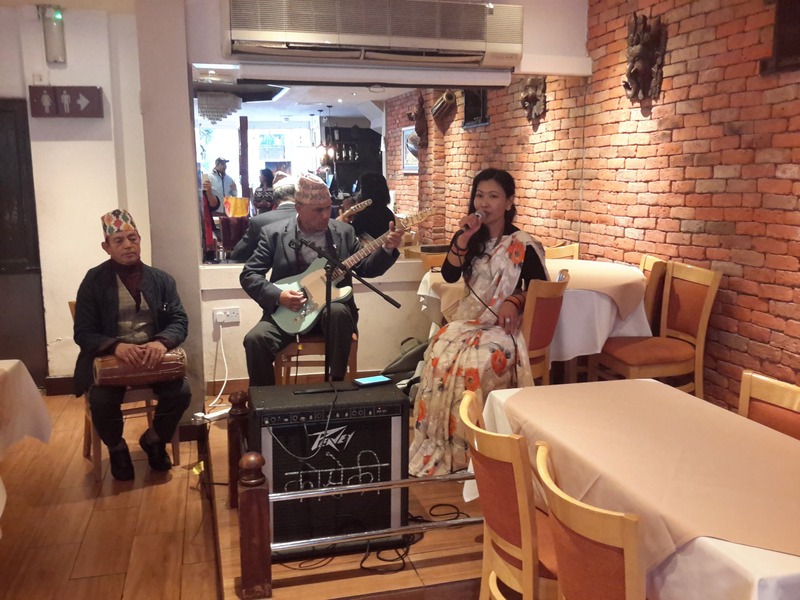 After traditional Bhwoye was served, artists Mr Thapa and Mrs Shrestha continued to entertain the crowd with some Nepalbhasha as well as some Khasbhasha Nepali Songs. 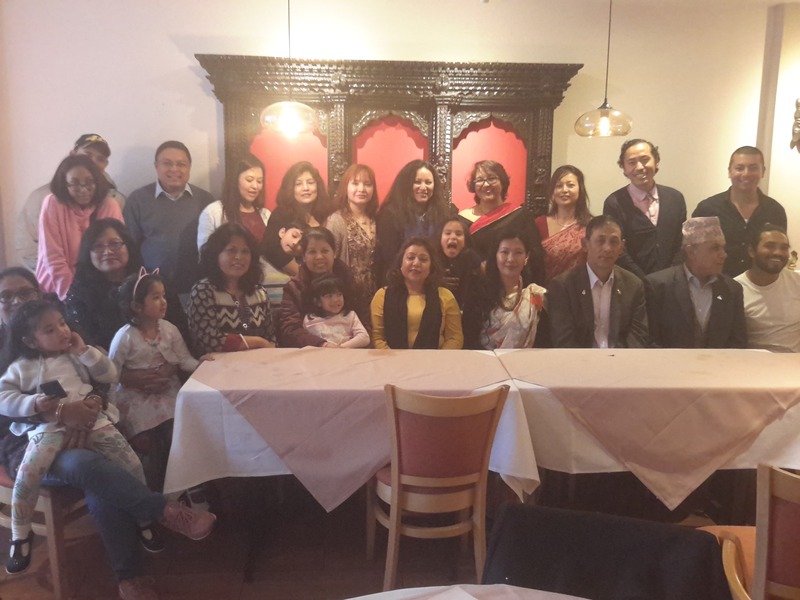 PPGUK Joint Secretary Mr Anil Maharjan and Sports Secretary Mr Sumeet Bajracharya also joined them to entertain the crowd, while there was wide participation from guests by singing and dancing. PPGUK Executive member Mr. Kiran Manandhar and Treasurer Mrs Sabita Manandhar received all the guests at the entrance. 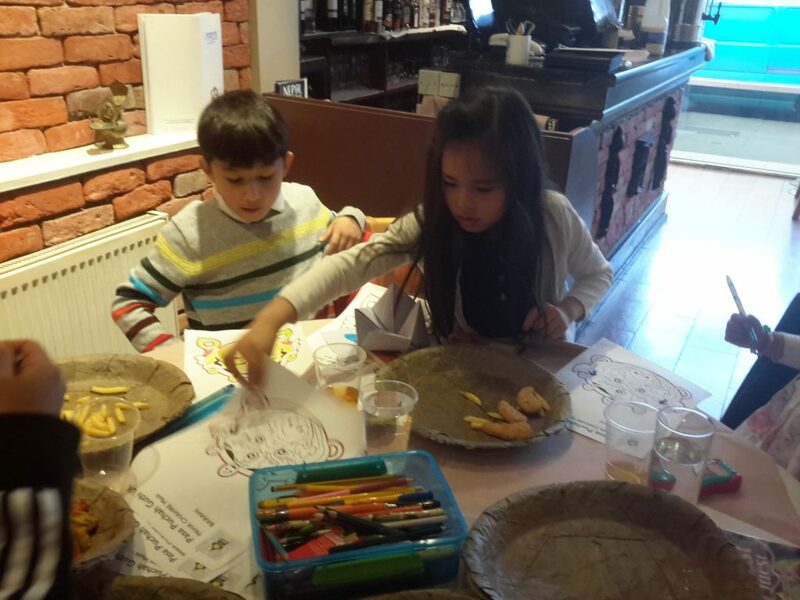 Volunteer Ms Krisha Manandhar conducted the kids corner for the event as well as helping them paint the traditional mask used in the traditional dances of Paha Chahre festival. Mr. Anil Maharjan concluded the event with vote of thanks.